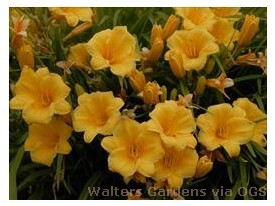 Product Information : World's most popular daylily! Bright gold complete self with mild pie crust edging. Flowers profusely in early summer, followed by waves of bloom into early fall.